On 3 December 2018, the Central European University (CEU) announced that it is forced to launch all U.S.-accredited degree programs in a new location in Vienna in September 2019 instead of continuing their activities in Budapest. The Hungarian higher education act, widely referred to as ‘Lex CEU’, and the Hungarian Government’s lack of intention of signing the agreement negotiated with the State of New York where CEU is registered, makes it impossible for the university to ensure its operations in Budapest on the long run. In March 2017, the Hungarian Government proposed an amendment to the Hungarian higher education law (hereinafter referred as Lex CEU) that exclusively targeted the Central European University (CEU) by setting criteria that aimed to preclude the university from operating in Hungary. Only a week later, Lex CEU entered into force. The law set several conditions especially tailored for the CEU to see if it can jump high enough. One criteria was that a foreign university which is also registered in Hungary could only operate if an intergovernmental bilateral agreement between Hungary and the university’s country of initial registration was signed (i.e., in this case the State of New York). Furthermore, although not initially required, CEU now had to perform educational activities in their country of first registration as well. This deliberate attack by the Hungarian Government against CEU generated enormous international attention, displays of solidarity with CEU, as well as massive street protests in Budapest. In an effort to comply with the new terms, within a few months CEU signed a memorandum of understanding with a New York-based institution, Bard College, and registered with the New York State Education Department. Consequently, there seemed to be no reason left for the Hungarian Government not to sign a drafted agreement with the State of New York by the mid-October 2017 deadline. Nevertheless, the Hungarian Government refused to sign. Instead, just a few days before the deadline, an extension was announced postponing the decision until the end of December 2018, literally forcing CEU to operate in conditions of extreme uncertainty while subjecting it to various accusations by Fidesz party members which at times presented CEU in extremely pejorative terms, from accusing it of employing “Soros mercenaries” to being a "phantom university". Prior to the parliamentary elections in April 2018, there had been a slight hope that the attack against CEU (and other actors voicing criticisms towards Government actions and policies) was just part of the election campaign and would therefore potentially be dropped once Fidesz‘ power was reaffirmed. During the election campaign the demonization of NGOs, of CEU, of its founder, philanthropist George Soros, and of the European Union went ahead full speed, accusing them all of serving foreign interests and of having as their ultimate aim the settling of migrants on “Hungarian soil”. Hungary’s securitization of migration started in early 2015, way in advance of the so-called refugee crisis. Thus, when refugees and migrants arrived in Europe and Hungary in high numbers, the climate was already quite hostile, and xenophobia in Hungary was strikingly increasing. Hungary’s governing party launched a campaign depicting asylum seekers as terrorist men coming to Europe and threatening its culture and identity. Fidesz built an image of itself as the “true” savior of Christianity and the European continent. Later the demonization campaign was extended to include NGOs allegedly supporting asylum seekers (even as the state abandoned its duties and left civil society to handle the crisis alone), and allegedly supporting the European Union, George Soros and CEU, the university Soros founded. These actors were allegedly interlinked, which created the image of a global conspiracy of Muslims taking over the country and disrupting national borders. The strategy proved so successful that Fidesz won the elections, gaining a two-thirds majority in the Parliament without having any other election program and campaigning on the single issue of migration. Surprisingly, after their landslide victory in the elections, the governing party continued their war against internal and external “enemies” of the Hungarian illiberal state and showed no sign that it intended to settle the status of CEU by signing the agreement allowing it to function. This crackdown on civil society and further critical voices also continued after the elections. Parliament passed the “Stop Soros” laws under which assisting refugees became a criminal offence: NGOs and individuals are threatened with prison time for helping asylum seekers or, as it has been phrased by the Government, “facilitating illegal immigration.” A tax law was also adopted (originally included in the “Stop Soros” package), charging a 25% tax on “propaganda activity that portrays immigration in a positive light” or other related activities such as “participating in a media campaign”, “building and operating a network” and “educational activities” geared towards migrants’ integration. The wording of the laws is rather vague, allowing for their arbitrary interpretation. The “Stop Soros” laws could target NGOs, educational institutions, journalists, individuals, and practically anyone who disagrees with the Government opinion on migration. Freedom of the press has also been under attack, as most media outlets are owned or strongly influenced by Government supporters. The space for free media is shrinking gradually as a result of opposition outlets being shut down or deprived of income. Diverse opinions and an accurate presentation of reality can hardly get through, feeding the narratives of the Government and allowing an alternative reality to blossom throughout Hungary. Such authoritarian, exclusionary tendencies in Hungary raised the alarm and pushed international institutions to condemn the antidemocratic moves of the Government. The European Commission has started infringement procedures against Hungary over the law on foreign-funded NGOs (that labelled human rights NGOs “foreign agents”) and Lex CEU. As such procedures are slow and have a questionable outcome in terms of sanctions, it is unlikely that they would result in the Government’s reconsideration of Lex CEU. In defense of CEU as a U.S. institution, the U.S. Embassy in Budapest and members of Congress expressed their concerns about these attacks and offered to serve as mediators in the conflict between the Hungarian Government and CEU, but as of yet there are no encouraging signs. Even among Hungarian PM Viktor Orbán’s supporters in the European People’s party (EPP) the law has been criticized for violating European norms and for it imposition of autocratic measures. Fidesz is a member of EPP, the umbrella group of center-right and Christian Democratic parties in European institutions. Unfortunately, the EPP has not yet lived up to expectations and has postponed Fidesz’s expulson from Europe’s largest political branch, although some of its members have expressed their concerns about Orbán’s politics. 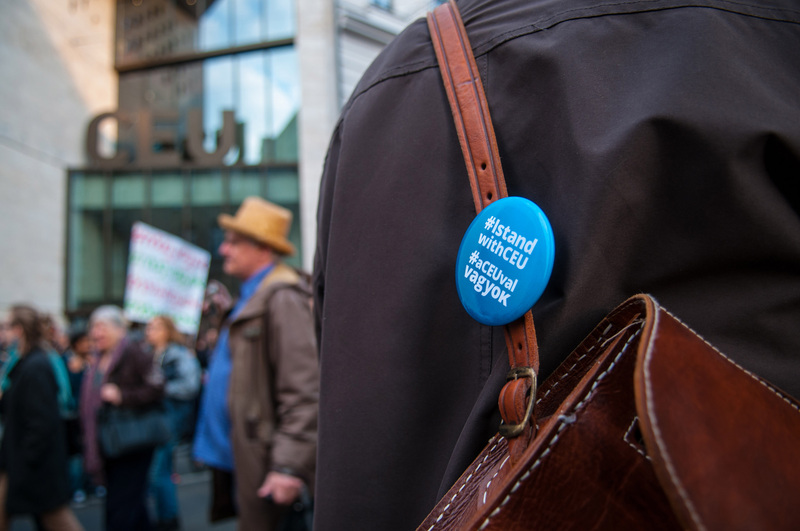 The political discourse over CEU’s future gives the impression that a signed agreement would secure the university’s position, but the absence of an agreement is not the only means for forcing CEU out of Hungary. In early August 2018, the Ministry of Human Capacities announced a proposal to withdraw the Hungarian program’s accreditation of gender studies programs in Hungary, without giving any reason or explanation. The proposal concerned programs at CEU and the Eötvös Loránd University (ELTE), as they are the only two universities offering gender MA programs in Hungary. When, in October, the Government’s approved lists of Hungarian program accreditation weres published, it already lacked gender studies as an accredited MA program. The revocation of these accreditations is in line with the Government’s stance expressed earlier in 2017, when the Minister for Human Capacities, Zoltán Balog, rejected gender studies as a science and introduced a new program direction, the “family studies” program at Corvinus University, depicting it as an “actual scientific degree” that is desirable for the state to fund. Moreover, only a few weeks after the ban on gender programs was proposed, CEU temporarily suspended its Open Learning Initiative (OLIve), an academic program designed for refugees and asylum seekers, in order to avoid falling under the 25% tax charge for “educational activities” related to illegal immigration. The suspension is potentially in force until the respective authorities clarify the tax and legal situation in the case of CEU’s OLIve program, which provided a chance for registered refugees and asylum seekers to continue their higher education studies and is furthermore symbolically important in a country where xenophobia and racism are strongly present in the political discourse and the Government’s narrative. These two recent moves show the vulnerability of an independent institution in a country that lacks legal certainty. When regulations are created to sanction dissent, not just to regulate, then compliance with their larger purpose is expected. The university’s leaders are not being treated as partners by the Government. There are no negotiations or consultations about substantial questions. The Government is communicating exclusively through the media. Complying with the wording of Lex CEU, therefore, does not seem to have saved CEU. False accusations against the university by Fidesz members appear in the media, denying the fact that CEU conducts educational activities at all or has a campus in the US, despite all the official evidence to that effect from those bodies in the US. Time is crucial here. The university recruitment process ends at the end of January 2019 and the deadline the Government initially set for signing the agreement was the 31st of December 2018. In the absence of that, new students could not be admitted for the next academic year starting in September 2019. It is also financially difficult to plan ahead when working in the short term only as opposed to having a broader perspective on the future. No university, or any other institution for that matter, could autonomously operate under such unstable conditions. For this reason, CEU has previously announced the possibility of moving its activities to Vienna, should the agreement not be signed by 1 December. CEU is not the only academic institution Fidesz is trying to take over. The Hungarian Academy of Sciences may lose its public funding and thus the independence of its research due to a proposal introduced in Parliament over the summer. As mentioned earlier, the Eötvös Loránd University (ELTE) is affected by the ban of its Gender Studies MA program and by significant budget cuts, and the list continues with Corvinus University of Budapest facing drastic changes that will turn this state-funded public university into a private institution managed by a state-established endowment fund from 2019. On the 14th of November, the Faculty of Social Sciences at ELTE organized a strike and held lectures at the university, thus protesting against the ban on the Gender Studies MA programs and the ongoing attacks on these academic institutions. CEU, Corvinus and other universities joined forces to express solidarity and to support students and teachers who are determined to coordinate further resistance. The Government seems to be living up to its role of choice: The “defender” of Hungarians, Christianity and the sovereignty of the country. In so doing, Fidesz is fighting against the values that CEU and other critics stand for: Critical thinking, diversity and freedom, the values that are also essential for an inclusive democracy. The experiences of the past three years, starting with the refugee crisis, suggest the Government will brook no compromise: Hungary “needs” to be protected from its constructed enemies, regardless of the irreversible damage that causes – in the case of CEU- for the Hungarian academic sphere and more broadly for the whole society. Just recently, homelessness has become a criminal offence in Hungary. Extending securitization further, this time to Hungarian citizens, points out that other potential “adversaries” will be next in line. 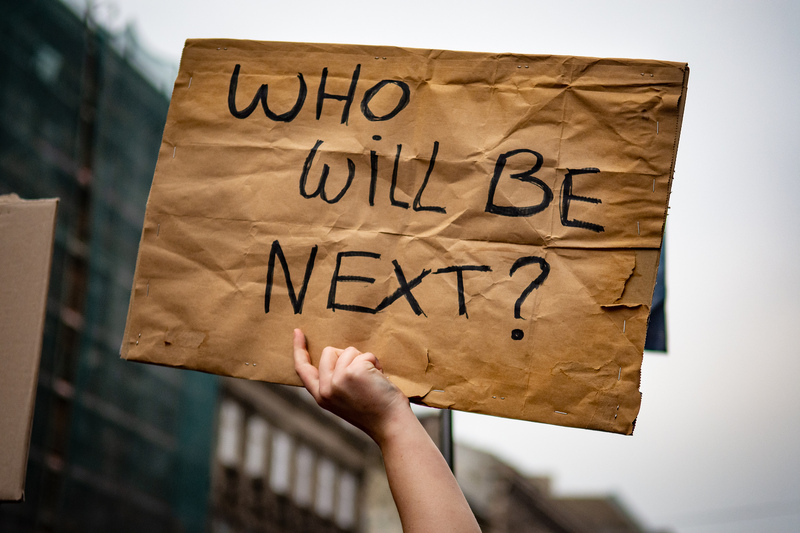 Fear-mongering and hate-mongering propaganda, accompanied by a worrisome, dehumanizing attitude of the Government towards vulnerable social groups, creates further tension and is consequently deliberately eroding solidarity in society. CEU announced to move its U.S. accredited programs to Vienna after the Government failed to sign the agreement by the 1st of December 2018. The university aims to continue teaching and research activities in the frame of their Hungarian accredited programs as long as possible. The university will definitely survive if it leaves Hungary - but how will those who are left behind live on, and under what circumstances? The author is a project coordinator at CEU’s Center for European Neighborhood Studies since 2013. The views expressed here are her own and do not necessarily represent the views of her employer. Find more articles in our feature on the "Lex CEU"
 Lex CEU originally required a bilateral agreement between the U.S. Federal Government and the Hungarian state. As higher education matters lie strictly within the authority of individual American states, negotiations then continued between the State of New York and Hungary.